The Namongbain Village is a Komba community made up of 100 families. 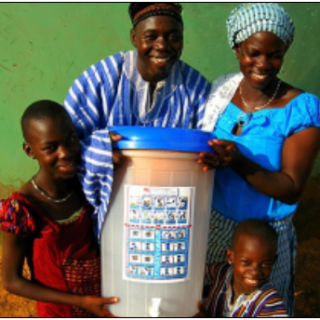 To reach them with the Gospel, OneWay Africa hopes to develop relationships and receptivity through the giving of water filtration systems to meet the physical needs of these people whose main source of drinking water comes from nearby, polluted rivers. Later, they will distribute solar-powered BiblePlus units to new believers as an evangelistic tool, contributing towards Christian growth and eventually planting a church in their community. NOTE: We have raised enough money through our GoFundMe site to pay for 50 filtration systems! Thank you to those who donated.